Joe Willis Burnett of Red Oak, Texas passed away on March 19, 2019 at Baylor Scott & White Medical Center in Waxahachie with family by his side. A memorial service will be held in his honor on Saturday, March 23rd, 2019 at First United Methodist Church of Red Oak, 600 Daubitz Drive Red Oak, Texas 75154 at 10:00AM. Joe was born on November 17, 1935 in Healdton, Oklahoma to Tance and Nell Burnett. He was the third of four children. His father was an electrician and lineman for Magnolia Oil (which eventually became Mobil Oil). As a result of his father’s job, the family had to move more than a few times. When Joe was young, the family relocated to Danville, Indiana and remained there until he went to college at Indiana University. He served his country in the United States Army and was stationed in Germany and other parts of Europe where he drove various types of tanks during the Cold War. After his service, he worked for Mobil Oil in Geneva, NY and Corsicana, TX; Bell Helicopter, and the City of Dallas Emergency Communications Division. When was younger, he enjoyed fishing and hunting. Later in life, he enjoyed traveling, weight lifting, dining out, taking road trips in his Mustang GT 5.0, dabbling in the stock market, and spending time with his wife at her house in the Dominican Republic. He was an extraordinary dad to his son, Michael; a loving husband to his wife, Judy; a devoted brother to his brother Jack and his two sisters Mary and Donna; and a caring son to his mother and father. Joe was preceded in death by his parents and sister, Donna Drake. 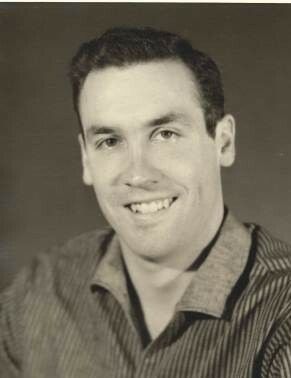 He is survived by his wife of eleven years, Judy de Marte Burnette; son, Michael Burnett and his wife, Jamie; stepson, Arisberto and his wife, Ramona; grandchildren, Jaden and Aris Jr.; sister, Mary Carter and brother, Jack Burnett and his wife, Carol; his cousin Wayne Hodge and his wife Linda. He has many nieces and nephews - Tom, Jim, and Steve Drake; Linda Cassaza, Jim Carter, Chancey Canon, Jan Jolliffe, Jeff Burnett; as well as many great and great-great nieces and nephews. He was known for his ease with people and his unfailing kindness. He was a loyal friend, committed to his family, quick to forgive, and always generous to anyone in need. He believed in kindness first, and always trusted that people were inherently decent. He liked to surprise his closest family members with big surprises out-of-the-blue sometimes, such as paying off the remainder of an auto loan or buying a set of new tires. One of his favorite things was to take family and friends out for a meal and good conversation. He was quick-witted and liked a good laugh. The world was a better place with him in it. He will be missed. In lieu of flowers, please make a donation to the American Stroke Foundation in Joe's name.